3P (Production, Preparation, Process) workshops are an effective method for bringing together the multi-disciplinary stakeholders of a healthcare design project. Through collaborative lean exercises that focus on process and function, the events help eliminate waste, create durable decisions and ultimately reduce the project design schedule. While 3Ps are typically multi-day events, this workshop will provide an intensive environment for all participants to experience the primary components of a 3P in a condensed timeframe. Attendees will bring their unique perspectives to work together to create a conceptual design. As a follow-up, facilitators will share a report of workshop results with all attendees. The 2019 Facility Tour Program will be in announced in May 2019 so please check back for more details. Kick off your 2019 Symposium with breakfast and say hello to your friends and colleagues. 9/17/2019 | 8:30 AM - 9:45 AM | Open to All Attendees! In 2013, Boston Medical Center (BMC) launched a clinical campus redesign project to prepare the hospital to thrive well into the future. This overall effort transformed a busy urban thoroughfare and created a welcoming front door for BMC. With the completion of the Menino Additions and Renovation project earlier this year, all inpatient operations have been consolidated to the Menino side of the campus. The consolidated hospital design is expected to save BMC more than $25 million in annual operating costs and has dramatically increased the number of private rooms. This presentation will explore how patient-centered care remained the primary focus throughout the transformation. We will address how BMC’s mission: “exceptional care without exception” was integrated into the transition process and informed all design decisions. And discover how, the integrated project team ensured the redesign is tailored for the needs of the surrounding inner-city, Boston community. As the healthcare landscape evolves, it is time we look at the design of medical facilities through a new lens and “re-think” their implementation from a patient-centric perspective. This session will focus on The Villages Health’s unique approach and dedicated commitment to a patient-centered, primary-care driven model and how their ambulatory real estate supports their mission and vision. The priority is to create a place to deliver excellent patient care in an environment that feels like home. Create a place where patients intuitively understand that they receive integrated care with minimal confusion. A facility where the focus is on wellness and living an active lifestyle, and how the outpatient center functions to facilitate and enhance the service being provided. A facility whose design is driven by the patient experience – positively impacting the health outcomes of the community. Philosophically, codes are attempts to enforce a risk-management calculation across all situations. That is, code-writers attempt to assess risks and benefits of certain practices, and, in a line-drawing process, establish risk levels that they mandate across all installations. But, such processes necessarily ignore the situations of particular installations, inevitably over-spending in order to achieve universal compliance. Cautious AHJs, unversed in risk management processes, tend to frown upon variations, regardless of particular risks. And, more and more codes are beginning to experiment with explicit requirements for risk analysis, and crafting alternate compliance pathways, as the authors become more and more aware of the over-caution that can creep into the code-making process. This session will examine various trends for crafting better codes using a more explicit risk management process. Learn how the “philosophy” of code development inherently substitutes itself for a particularized risk assessment. Learn how a dynamic risk management process, properly applied can produce better outcomes as compared to a one-size fits all code process. Learn how the codes are beginning to implement risk-analysis into their requirements. Learn how to apply a risk-management process in design, and not worry about liability. The construction industry is the one of the only parts of the economy that haven't improved it’s productivity in over 50 years. With a rapidly aging population, we are at a critical time for innovation in healthcare construction. Healthcare construction is one of the most expensive capital project undertakings for a hospital. With the national average between $400/square foot and $1000/square foot in some locations, it is time for change in the industry. The healthcare constructionindustry is finally looking elsewhere and taking a page from industrial engineering, looking for ways to shorten development times, cost, and control. Grant will dive into the hospital construction industry and the “perfect storm” of factors that keep innovation slowly crawling. He will discuss different ways to speed up innovation in healthcare design and construction, including pre-fab manufacturing and modular design. These innovations will allow hospitals to be able to open quicker, recognize revenue faster and provide state of the art facilities while improving the patient experience. To educate people on modular technology in the building and design sector of the healthcare industry. To explore the plethora of benefits that modular technology offers in terms of construction, cost efficiency, and patient experience. To explain the trajectory of the healthcare industry, what changes are occurring, and what we can expect in the future. To explore innovation in the healthcare sector and envision what the average hospital experience will be like 30 years from now. Chat with speakers and your fellow attendees between sessions. Gain insight into methods to partner with Strategy, Operations, Innovations and Finance in master planning. Every year, thousands of patients come to Oregon Health and Science University and Doernbecher Children’s Hospital to receive long-term, specialty care unavailable in their home communities. These patients leave their homes and jobs behind. They face not only a medical crisis, but also the logistical and financial demands of finding housing. OHSU partnered with Ronald McDonald House Charities (RMHC) to create a first of its kind five-story guest house for pediatric and adult patients and their families to rest, work, prepare meals and gather. Centrally located on Portland’s waterfront and adjacent to public transit, the guest house offers enhanced convenience and accessibility. OHSU created a unique partnership with RMHC to provide philanthropic support for pediatric families and a business management model to support adult families. The teams presented their vision to stakeholders, developed a sustainable financial model, and designed and built this innovative housing facility. Understand how to develop unique partnerships to achieve not only project but operational goals. Understand how facility design addressed mixing healthcare space with non-licensed space while incorporating neighborhood and city needs. Learn how to develop a guest house design that is patient-centered for both pediatric and adult experiences while addressing safety concerns. Understand creative financial models to afford projects that provide larger community benefit. E02: Health Care Facility Security - How to lock the doors. Health care occupancies have always needed special locking arrangements for the clinical needs of patients. The security needs of the patients are also important. Over the past cycles of NFPA 101 and the International Building Code, have made allowances for securing doors within a health care facility. These secured doors address crowd control, infection control, civil unrest, contamination, elopement, potential abduction, active shooter / hostile event and general safety. This presentation will address how to secure the hospital doors and comply with the Codes. NFPA 3000 is a new Standard for Active SHooter /Hostile event response. The impact on hospitals and operations will be discussed. Assess the need to secure doors in both directions. State the general application of NFPA 3000 in the health care facility. Delivering a project on time and in budget is a challenge for all. However, we don’t want to simply deliver projects on time and in budget. We want to deliver excellent projects which support clinicians, patients and visitors with maximum impact. At the onset of project planning, when little is truly known about the potential project, hospital administrators and facilities management leaders are tasked with estimating the capital and resources required to fund these potential projects. If the anticipated project cost is not in alignment with the actual project cost, there are repercussions. So how do we better anticipate cost and create a capital request framework which sets our project delivery teams up for success? This session will discuss pros and cons of various capital improvement allocation processes. Then dive into how benchmarking, design standards, and lean collaboration can set projects up for successful delivery and design excellence. Evaluate different in place capital improvement request processes. Review effective means of quickly scoping projects beyond the data submitted within the capital request. Learn about effective benchmarks for clinical environments: geography, existing infrastructure, project type, standards, cost per square foot, etc. Review how lean processes and multi-disciplinary collaboration can lead to more accurate cost estimating. Please check back as this session will be announced in early May. Join us for lunch as the Symposium Distinction Awards, Founder's Award and The Generative Space Award are presented. You can learn more about the Symposium Distinction Awards and submit an entry here. You can find out more information on the Generative Space Award here. We will also kick off our 2019 raffle with all proceeds going to the Home Base Program. The ever evolving hospital patient room is at the core of the mission to improve the healthcare delivery. In 1997, patient rooms were on average 230 sf and in 2008 they were 345 sf. That is a 40% increase. In the last 10 years they have held fairly steady. Today, patient rooms are beginning to average 350 sf. This panel will present two contemporary examples of the current generation of patient rooms. One case study is the University of Virginia (UVA), University Hospital Expansion and the other is the Maine Medical Center, Hospital Expansion. In each case study, these universal patient rooms are designed and engineered to support intensive care unit (ICU) patients. Operationally, the room will not be limited to ICU patients. The room may also be used for acute care patients on a regular basis. Both case studies will address the different design solutions that demonstrate the operational and strategic ambitions of the client. Identify staffing differences between universal rooms, acuity adaptable rooms and traditional ICU patient units. There is no more disruptive activity for a healthcare campus than an on-site, full-hospital replacement. It requires a decision-making rigor and prioritization beyond that of greenfield construction, with profound impacts on a system and its member campuses. In the end, the very identity of the system--its priorities, brand and engagement with local communities--are positively affected. Two replacement projects--Intermountain Healthcare's Utah Valley Hospital and Cedars-Sinai's Marina Del Rey Hospital--illustrate how a single campus overhaul helps revision its general respective culture. Impacts include branding, new standards for patient care, new health service options, and even changes to the corporate structure. While all new construction paints a portrait of the parent system, a replacement project balances the new vision with the needs of staff, patients and visitors who have to survive the transition. That balance is where the real personality of a healing culture shines most. Appreciate what are the attributes that distinguish a “winning” response from an “also ran” submission. Please check back in late April for this session to be announced. Clinical Manager, Blue Cottage of Cannon Design, Inc.
Transitioning to a new hospital is one of the most monumental efforts an organization will undertake. Significant effort is made to ensure the facility can open on time and under budget with minimal impacts to existing operations. Due to compressed schedules, organizations often need to fast track new building activation measures. This timeline can be challenged further with multiple building opening on a similar timeline. This session will illustrate how one organization decided to fast track new building activation utilizing key tools and standard processes. MSMC partnered with Blue Cottage to share lessons from the opening of their freestanding ED in Hialeah, FL, followed by the activation of the new Skolnick Surgical Tower in Miami Beach. This was done with a focus on standardization, coordinated training, and shared operational user groups. The results were cross-trained staff that were informed about their workflows and ready to work in both locations upon opening. This program has three elements: (1) a brief overview of the innovative, research-based design concept of ‘Generative Space’ by Jessica Gutierrez-Rodriguez, a Hospital CEO and practitioner of Generative Space; (2) a presentation by the recipients of the newly-announced 2019 Generative Space Award, highlighting those aspects of the design that are actively generative; and (3) time for detailed attendee questions and discussion about the design and its merits. Recharge your batteries before the next session. Creating a new vision for ambulatory care is one thing, but what does it take to operationalize it? The Henry Ford Health System developed an ambitious vision to transform ambulatory care in the Detroit region and construct multiple ambulatory care centers in rapid succession. Their vision included massive operational and cultural changes to move them from a collection of siloed practices with dedicated resources to a fully integrated system with shared resources. Operational changes included everything from new staffing models and roles to space utilization and billing structures. With the first building going online in a year, this meant strategies to allow the phased adoption of new processes, services, and technologies. Learn about Henry Ford Health System's vision, the challenges they faced in changing their culture and operations, the importance of change management, and how design played a role. Explain Henry Ford Health System's vision for the future of ambulatory care in the Detroit region. Examine the challenges associated with rapid adoption of a new ambulatory care model, and specific strategies for engaging stakeholders in the development of solutions. Evaluate the change management strategies employed throughout the process and the success of various efforts. Demonstrate how design plays a role in facilitating operational and cultural change in the ambulatory care setting. Biophilic design (connecting people and the natural world) provides numerous and lasting physical and physiological health benefits to healthcare building occupants. Rapidly emerging research demonstrates the efficacy of biophilic design in increased healing rates, productivity, cognitive restoration, mood improvement, and staff wellness and retention. The speakers will present biophilic design patterns that demonstrates optimal human-nature connections in a case study of the new Hale Family Clinical Building at Boston Children’s Hospital. Related research findings to the design strategies for the case study and specific methods and instruction for conducting a successful experiential integrative-biophilic design project workshop for design team and occupants will be provided. Additional case studies will enable attendees to understand the importance of early biophilic intervention and the process for designing for optimal health and wellness. An interactive exercise will be included. Understand how to successfully integrate biophilic design, by demonstration of a recently completed project for Boston Children’s Hospital. Develop skills for creating experiential workshops for staff and design team that are fully assimilated into an integrative design process. Gain an understanding of the emerging research related to biophilic design for patient, family, caregiver and staff health and well-being. Recognize the value of, and ideal processes, timing and method for implementing a successful healthcare biophilic design healthcare-project workshop. Have you ever wondered why your authority having jurisdiction (AHJ) is so hard headed? Why do they lack feelings? This presentations will hopefully give everyone a look behind the curtain and understand how an AHJ thinks. After we discuss the thought process and understand how and why AHJ's think the way they do, we will discuss a way to break through their hard exterior and speak in terms they understand. We will end by discussing a 5 step process to justify your code interpretation to your AHJ and hopefully have them see it your way. Please check back in late April 2019 when this session will be announced. With escalating healthcare operating and capital costs, facilities are seeking profitable strategies to improve scheduling efficiency and room utilization by restructuring process, flow and operations while providing quality healthcare services. This session will examine a planned outpatient clinic reconfiguration at Wyckoff Heights Medical Center in Brooklyn, NY to uncover the relationship between space allocation and need projections for multiple clinical specialty groups sharing a large group practice. The speakers will demonstrate their explorations in quantitative analysis of clinical volume data, in order to understand the relationships between utilization, scheduling, and sessional mapping, and their application to space programming and planning. They will discuss how these methods measured and balanced complex needs between multiple specialty practices and helped leadership strategize to achieve greater efficiencies, operational advantage, and improved outcomes. Become familiar with concepts of quantitative data analysis, growth projections, utilization rates, and sessional mapping. Review methodology and applications utilized for a multi-specialty outpatient clinic and how it can be applied to other clinical settings. Summarize analytical results to demonstrate future utilization,capacity and efficiencies of shared use of clinical exam modules on a sessional basis. Understand how programmers and planners can aid healthcare institutions to create a more efficient and stronger financial operating model. Located 30 miles from mainland, residents of Nantucket Island embrace resiliency as a cultural norm. The unique challenges they face influence their attitude about design and buildings - and the new Nantucket Cottage Hospital (NCH) is tangible evidence. Given its location, NCH must regularly deal with inclement weather. The new 120,000-sf hospital is designed to withstand potentially catastrophic conditions and provide all necessary services to serve as a safe haven while “off-the-grid” when weather cuts off mainland access. Engineered be the “last building standing,” NCH is transforming the patient experience and increasing access to providers, while integrating artifacts from the site and simplicity of design Its commitment to environmental sustainability – Partners Healthcare as a founding member of the Healthier Hospitals Initiative with NCH targeting LEED for Healthcare v4 – provides resiliency for future generations and serves as a model for other critical access hospitals. 9/17/2019 | 4:00 PM - 6:00 PM | Open to All Attendees! 9/18/2019 | 7:00 AM - 8:00 AM | Open to All Attendees! Kick off your day with breakfast and a keynote that will leave you thinking! America's healthcare system remains at a crossroads with mounting pressure from all directions. At the intersection of partisan gamesmanship, regulatory ridicule, & demographic realities, stand the merchants of medicine holding us hostage. Once again Sauve weaves a provocative fact-based narrative of our American healthcare journey. Each vignette leads to a deep understanding of industry components, the connective tissue, & remaining tumors. Combining the latest research and a front line planning role, Sauve provides an informed, insightful view of the state of the industry. Unlike the academics, he pulls no punches on why healthcare solutions are slow to melt legacy business models. In addition to the causes of death and coming pandemic; the international update compares women's health and healthcare. The journey concludes with a perspective on strategic master planning; locating facility assets as chess pieces on a real-world game board, where competitors & rules constantly evolve. 3. Benchmark innovation across our 50 States, as well as U.S. womenâ€™s health, healthcare, and progress compared to societies & systems around the world. 4. Learn the secrets of successful strategic master planning 2030; the critical components of segmentation and sequence of meeting engagement. With the emergence of the Affordable Care Act and Population Based Healthcare, the need for an evolved ambulatory care delivery platform is necessary to better align care and economics. The ambulatory care center will become the primary venue through which health systems provide care to their community. Population health will require a new model of delivery that transforms the way consumers and providers view, deliver and receive healthcare. While new facility design offers the best opportunity to accomplish transformation, creating ground up facilities is most often neither economically or logistically feasible. MedStar Health has been developing an integrated population based ambulatory delivery network in Baltimore, Southern Maryland, Northern Maryland and the Washington DC metropolitan area. This session will outline the process, challenges and lessons learned in transforming several 1980's commercial buildings in Washington DC into progressive integrated health centers. Outline programmatic, planning, infrastructure and leasing/economic issues to consider when evaluating existing facilities for ambulatory care. Introduce programming and planning ideas and metrics for integrated service delivery platforms that drive ambulatory delivery in less space. Provide insight on the challenges and techniques to help transform the expectations of medical staff to deliver care in non-traditional, "less" space. Provide "lessons learned" and real-life examples where such approaches resulted in significant and measurable results. Behavioral health institutions face challenges when aligning the human needs of patients with the professional requirements of clinicians. The mandate of privacy in counseling usually dictates a facility plan densely populated with offices, which often sit vacant due to varying office hours. To address this, Home Base, an MGH behavioral health program serving veterans with PTSD, decided to embrace a high-performance design for a new clinic. After a practice usage analysis, Home Base pursued an address-free environment that carefully separated patient/public and staff/private spaces. All therapy rooms are unassigned consult spaces for clinicians, who abandoned the private office model in favor of sharing treatment and respite areas with patients. The design provides flexible space with technology, promotes a "living room" feel, and maximizes patient privacy. 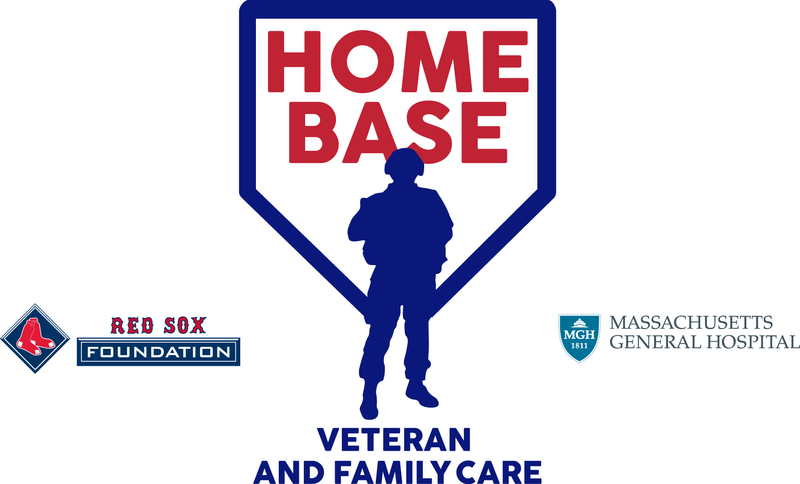 This session will use Home Base as a case study for pursuing innovative workplace strategies in behavioral health environments. Explore what clinical and administrative factors must be considered when adopting a high-performance based behavioral health center. Evaluate specific design tools that can be used to ensure security and privacy are achieved when designing a more open, flexible clinic. Understand how built-in design flexibility enables a variety of clinical and administrative functions to integrate more seamlessly. Learn how technology supports a successful user experience for both patients and staff/caregivers. F05: How Much Escalation is Enough? One of the most difficult parts of determining a budget for a project is determining how much escalation to apply to the cost estimate. The construction industry has recently seen a rapid escalation in pricing, plus challenges concerning supply and demand for the required goods or services. The panelists will share a number of factors driving escalation in their region as well as challenges they are facing with limited resources. This panel discussion will explore the various ways of coping with these challenges. 9/18/2019 | 9:30 AM - 10:45 AM | Open to All Attendees! Please check back in June when this keynote will be announced. 9/18/2019 | 10:30 AM - 3:00 PM | Open to All Attendees! Visit with the our exhibitors who are eager to provide products and solutions for your latest project. Hook an expert and we’ll help you tackle your problems! Topics and experts will be announced in July 2019. Enjoy your lunch with fellow attendees on the exhibit floor. Please check back in late April 2019 when this conference session will be announced. Changes in employee composition and changing professional styles translate into specific workplace expectations. Contemporary business models now emphasize diverse professional skills, flexible work schedules and greater social responsibility within the workplace. Healthcare administrations, who have traditionally worked in discrete office units, now employ staff who prioritize job diversification, technological connectivity and mobility. A key challenge for healthcare leaders, therefore, is balancing the needs and expectations of diverse employee types, while maximizing workplace productivity and retention. This session will focus on implementing a successful workplace strategy by addressing specific spatial, programmatic, and social needs, to reconfigure office space while maximizing employee productivity and retention. Strategies include documenting goals, evaluating current functions and best practices, providing recommendations and creating a business case for each recommendation. 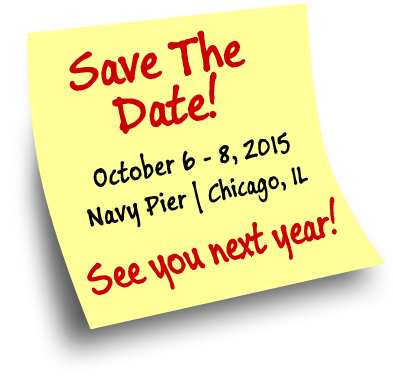 Discuss the emergence of leading workplace strategies in non-clinical healthcare environments. Learn tools, methods and processes to better align work and culture in the organization. Review trends and themes effecting workplaces in non-clinical healthcare environments. Learn from an owner’s perspective how workplace trends effected their culture. ‘Spirit of Place’ is the third ‘chapter’ in an ongoing series of annual Symposium programs that explore design, spirit of place, and health as inseparable from the healing process. This year’s presentation will: (1) Examine various world spiritual beliefs; (2) Explore the impact of these beliefs on the design of the world’s most sacred places. (3) Investigate spiritual principles and environments that affect the healing process; (4) Provide interactive discussion about kinesthetic principles that influence “how we feel, act and behave” in time, space and architecture; (5) Explore principles of design that make environments more magical; (6) Acknowledge the purposeful nature of well-designed places that nurture the spirit and heal; and (7) Offer stimulating audience discussion to further explore this rare approach to design. Participating in previous years’ programs is not a requirement for participation in this year’s. 1. Examining various world spiritual beliefs and the sacred places designed by these beliefs. 2. Acknowledging impact of architecture on mental, physical, spiritual health. 3. Becoming exposed to research on design, cultural competence, and social impact. 4. Becoming aware of the symbiotic relationship between design, health and spirit of place. 9/18/2019 | 2:00 PM - 3:00 PM | Open to All Attendees! Visit the exhibit floor one last time for our closing social and thank the exhibitors for their support of the Symposium. To support the infection control team, and to satisfy accreditation requirements, the facilities staff in a hospital operates and maintains a variety of pressurized spaces. Each space is designed to reduce the risk of infection, with the flow of air from clean to less clean. positively pressurized spaces includes Operation Rooms; negatively pressurized spaces includes Airborne Infectious Isolation Rooms. National standards, including ASHRAE/ANSI/ASHE 170, and state standards may apply. In addition, there are standards or guidelines by professional organizations like AAMI and AORN that provide requirements for spaces in order to minimize infections. Hospital staff need to inventory the spaces and identify the most stringent requirements. In some cases, a risk assessment is required to resolve conflicts. Finally, the staff need a program to continuously monitor and maintain performance of these critical spaces. Explain the standard requirements for various pressurized spaces from the viewpoint of a facilities engineer. Specify systems and equipment that support a monitoring plan for pressurized spaces. Create a ongoing program to manage the hospital's pressurized spaces with support from a multi-disciplinary team of hospital staff. Train the facilities staff about monitoring of pressurized spaces and the requirements as specified in the standards. B07: Replacement hospital with new care models and post-occupancy lessons. When Major Hospital began planning to replace their existing hospital on the heels of the ACA, they recognized that future healthcare would be heavily focused on ambulatory care. The Hospital and design team recognized that they needed to be on the forefront of new technologies and be innovative with models of care. From patient and guest arrival welcomed by a navigator to discharge via an offstage door, the experience is thoughtfully patient-centric. Innovations include the 38-bed Ambulatory Care Center that serves outpatients and all observation patients, and provider clinics vertically stacked with the patient care units. The team will share operational planning strategies before design, lessons learned and metrics on patient outcomes, readmissions, observation length of stay, energy savings and patient and provider satisfaction. The Caregiver Center at Burke Rehabilitation Hospital is the first caregiver support center within a rehab hospital in the U.S. Burke’s patients have often experienced a life-changing illness or injury that affects not only the patient, but also their support system. The Center was created to provide much-needed respite, resources, and motivational guidance for the patient’s care team. Caregivers can experience the emotional and mental anguish associated with their responsibilities which can create a negative impact on the patient’s recovery process. To help combat this stress, a dated clinical setting in the heart of the hospital was transformed to celebrate the patient-centered-care Burke is known for. Collaboration with focus groups, patients, caregivers and the design team brought in the healing power of nature, joyful elegance, engaging visuals, and custom-tailored support programs resulting in an uplifting center where visitors leave empowered to embark on their recovery journey. Understand why designing for caregivers is a vital undertaking to deliver effective patient recovery. Discover new design strategies to invite playful moments in times of stress and sadness. Explore how motivating architectural features nudge caregivers towards a more joyful state of being. Observe the effects of user-centered design methods and how to apply them to your facility. D07: Is your Emergency Department sending an SOS? Blockchain is frequently mentioned as a technology that will absolutely impact healthcare but it appears to be in its infancy and many people feel it is really geared toward Electronic Medical Records only. This session will bring together experts in Blockchain, Planning Construction & Design, and AEC to discuss what they believe is coming for the benefits of Blockchain in impacting how we will deliver healthcare projects for hospitals and outlying facilities. Blockchain, while still in the early stages, we believe, will ramp up much quicker than anticipated. There will be definite benefits of being an early adopter when it comes to trying to secure rapid process optimization, efficiencies, cost savings, etc. in healthcare projects. Can we deliver a perfect project - early, under budget and have a great experience? Maybe not perfect, but with blockchain and Lean Construction, we believe the formula is out there to get us really close! From thought leaders in AEC and Blockchain, hear about leading edge ideas on the ways to integrate blockchain in facilities and PDC procurement. Please check back in early May 2019 when this conference session will be announced. Principal / Discipline Leader, Engineering, Stantec Architecture Inc.
Our team designed a replacement AHU and relocated the unit to the rooftop from the existing location in the 2nd floor mechanical room. The structural and constructability requirements of moving the AHU to the roof created project cost challenges. We discovered the existing terminal units serving 23 ORs had issues that needed to be addressed. To adhere to the original budget, we developed 6 options to provide an understanding of existing conditions and available opportunities to modify the system to allow for code compliant operational system. We will explore how developing multiple options cannot only help resolve budget issues but also give a clearer picture of project conditions and objectives. Penn will explain how administration utilized the 6 options to make an informed decision, as well as explain how a new surgical platform coming online in '21 drove their decisions for a '18 project. Patient safety was paramount in the decision process as the project was reviewed and approved. Developing metrics to inform Administration on pro’s and con’s of design options. Phasing of project within an existing operating platform. Testing procedures during phasing conditions to meet DAAC requirements. Enjoy breakfast with your fellow attendees. Long waiting times in Emergency Departments (ED) have been an issue in Canadian hospitals for years. Many factors have contributed to the excessive waiting time, including the current design scheme which is known architecturally as the â€œFunnel Design Scheme.â€脙鈥毭偮� Current architectural and engineering practice lacks standards to quantify the effect of ED design and ancillary departments on waiting time and Length of Stay (LOS). This research focuses on assessing the architectural standards of ED on the basis of a patient-focused environment. The objective is to optimize the space requirement to reduce waiting time following what is called â€œuniversal zero delay treatment.â€脙鈥毭偮� The proposed methodology uses two techniques: a) a statistical analysis of forty two ED architectural designs, and b) the application of Lean Healthcare combined with Post Lean Simulation which offers an opportunity to evaluate the potential impact of different interventions on patient flow and throughput. Demonstrating what methods researchers have proposed to manage ED congestion and patient flow, and strategies that decrease ED waiting times and LOS. Testing a proposed Streamlined Design Scheme to replace the existing Funnel Design Scheme on the basis of a patient-focused environment. Assessing the application of Lean Healthcare and Post Lean Simulation to evaluate different interventions to arrive at "Zero Delay Treatment" in ED. The Ohio State University Wexner Medical Center is embarking on a major five-year expansion, a key aspect of which includes construction of a network of medical office / ambulatory surgery centers along the outer belt of the Columbus metropolitan area. The initial project, which is serving as the prototype, is under construction with two additional sites currently under consideration. All sites are master planned for the addition of an acute care hospital. This presentation will be the first in a series of lectures that outline the process of expansion, methodologies of site selection, the development of the prototype building, and related regulatory considerations; in addition, the series will address the larger context of the growth of the academic medical campus and how the use of brand and processes can support integration across the entire enterprise. Subsequent lectures will discuss the completed project, how initial objectives were achieved, and lessons learned. Outline the process that underpinned the expansion plans. Review the methodology that determined the site selection, program for the building, and related regulatory considerations. Discuss the development of the prototype building. Explore how brand and process considerations support the broader enterprise goals. When Ontario’s largest Children’s Treatment Centre was faced with the opportunity to create three new purpose built facilities, they were enfranchised with a new horizon of possibilities and challenges. The ambit of new technology and variety of new spaces far exceeded anything to which the organization previously had access and the opportunities for transforming service delivery were staggering. To fully capitalize on the opportunity, a sizeable transformation was required to not only design these facilities but to also operationalize them through re-designing operations and reorganizing staff from their existing structures, spread across 11 smaller buildings. The organization undertook a journey rooted heavily in staff engagement and dialogue to prepare for and support the coming change. This presentation explores first how the design caused the building itself to be developed as a tool for therapy, learning and teaching and then explores how process redesign lead to the successful development of workflow validation techniques. Less than twenty percent of population health drivers are a result of clinical care or our genetic makeup. The remaining determinants result from the socio-economic factors that frame our everyday lives. In order to impact health and well-being beyond the limitations of conventional healthcare strategies, facility design will need to focus their efforts more upstream - taking a more innovative look at how they can engage the communities they serve in new and sustainable ways. This presentation will outline empirical research on the impact nontraditional care settings can have on clinical outcomes (e.g., public libraries, cafés) and describe their ability to supplement population health management strategies. Facility administrators and architects will share some best practices in envisioning these nontraditional settings as well as share a case study illustrating Ascension Health’s partnership with Kroger grocery stores to provide preventive care to marginalized populations. Outline the factors that define social determinants of health and explain the need for healthcare providers to consider effective upstream solutions. Present research assessing the impact nontraditional care settings can have on population health management (esp. in rural communities). Discuss the unique strategies Ascension Health is pursuing (i.e., Kroger grocery store) to broaden their capacity to impact community health. Define best practices for the planning, design, and operation of effective nontraditional care settings and their impact on facility management. Principal, Hord Coplan Macht, Inc. Since 2005 more than 120 rural hospitals have closed, with more than 200 others showing a significant financial risk to close in the near future. Moving against that trend, MidMichigan Health has acquired two at-risk hospitals in recent years and made strategic investments to revitalize them within their local communities. This session will study why MidMichigan Health acquired these hospitals, and how they are deciding which investments to make throughout their five rural hospitals. We will share our hospital facility master plans that demonstrate future service line projections, and tools to evaluate what investments to make. These plans prioritize revenue generating space, and flexibility and evaluate renovating a rural hospital in place versus completely replacing the facility. Finally, we will demonstrate the tangible benefits these hospitals provide to their local communities, and the importance of keeping full-service acute care hospitals close to where people live. Understand the external challenges that rural hospitals face. Demonstrate the patient and community benefits of keeping rural hospitals open. Evaluate the types of capital investments that are most likely to support long-term success. Learn how to maximize the impact of new construction projects. A rapid increase in procedures that can be performed within minimally invasive environments through the use of interventional imaging equipment is prompting room upgrades and procedure room conversations. The balance between a functional space and patient centered experience creates new opportunities for design innovation. MGH has recently completed a series of renovation projects that utilize innovative design techniques to respond to this evolving clinical landscape. The result was a seamless integration of equipment and architecture that works to the overall benefit of the patient’s experience. In this session, learn how new strategies for the integration of radiation shielding were developed to minimize the disruption of adjacent spaces and its potential impact on the dimensions of the room. This collaborative approach resulted in rooms that are a seamless expression of design and equipment and reflect leading edge thinking on the future Interventional Imaging. As one of the top pediatric caregivers in the nation, Ann & Robert H. Lurie Children’s Hospital quickly outgrew its space and required more space for patient care. Stantec utilized an integrated design process to reimagine their former office space on the 22nd floor to accommodate the critical care needs for children and their families. When designing an intensive care for children, the role of the family and the integrity of function are at the forefront. Lurie Children’s Hospital, Stantec, Mortenson, and AEI had to work cohesively in order to successfully renovate the 22nd floor within an active, 24-hour hospital environment. By maintaining a strong relationship with all team members and staying flexible, Lurie Children’s Hospital is now well-equipped with a fully-functioning ICU floor for the children and their families. Our presentation will provide multiple points of view on the joint effort of the clinical users in developing a successful project. Share how to develop an integrated design process that is inclusive of the design team, contractor and client representative. Summarize challenges and solutions of integrating a major project into an active hospital. Define the challenges of implementing a project in a high-rise institution and how to overcome these challenges. Share how to integrate new work within existing systems while operating in an active hospital environment. Like most major urban medical centers, the University of Utah Hospital is landlocked and desperate for expansion space. This was compounded by the need to decant the adjacent 500,000 sf School of Medicine prior to its demolition and relocation. The INFILL project created 22,000 sf of found space in a former courtyard surrounded by highly sensitive patient care areas such as the NICU, the Burn Trauma ICU, and the Emergency Department. This location demanded a “surgical” approach to design and construction Although relatively small this project is a critical step in the complex process of the University of Utah Health Sciences Transformation Project. This session will describe how a highly collaborative project team worked together to establish a project vision then successfully deliver the project – without any “trauma” - based on the guiding principles established by the Owner and embraced by the entire team. Learn how to share the Owner’s vision so that all stakeholders and participants support the project goals and guiding principles. Gain insight into how the team innovated and collaborated with Facilities & Engineering and the Contractor to design with constructability in mind. Learn how constant contact between the contractor and patient unit managers, built trust and reduce potential disruption to patients in the hospital. Learn how to gang-tackle problems – the entire project team working together to quickly solve problems as issues arise – without turf battles. Neonatal Intensive Care Units (NICU) contain some of the most vulnerable patient populations. Many NICU babies have little ability to regulate their bodily systems, heightening the importance of their immediate environment in their development. Support for this fragile patient population is not limited to their physical and cognitive needs, but also extends to their families and caregivers. This presentation will focus on the design process of moving from a 48 open-bay to a 70 private-room NICU. Typical design stages were enhanced with the voice of the customer, evidence-based design, extreme schemes, and finally a pre/post research study. This presentation discusses findings related to the design. Careful attention was paid to lighting, acoustics and design elements that support neonatal needs, family needs, and staff work environment. Presenters include the facilities director and three design team members, who will share their lessons learned from this collaborative design project. Learn how design can address the special needs of NICU babies, their family members and NICU staff. Understand how to enhance the design process with research. Discuss the challenges of moving from a 48 open-bay to 70 private-room NICU design. State lessons learned of a large reconstruction project, including results of the post-occupancy evaluation. With a co-presenter from the Veterans Administration in Chicago, this session will examine how private-healthcare design processes can influence a VA medical project. Presenters will illuminate outcomes from a trailblazing VA Ambulatory Care Center project in Omaha, Nebraska, expected to open in mid 2020. Its $86 million price tag saves taxpayers roughly $30 million by using donations from the non-profit Veterans Ambulatory Center Development Corporation (VACDC), but the donations came with conditions. The benefactor prescribed innovative delivery, which encouraged congress to pass the new law. The law’s title stands for Communities Helping Invest through Property and Improvements Needed for Veterans Act of 2016. It paved the way for Veterans Administration hospitals to take advantage of the technical and economic innovations commonly used in private-sector projects, including performance specifications, modern QA/QC processes, and strategic partnerships. Differentiate between what the law does and does not allow. Apply lessons learned when partnering with the VA and private entities on projects. 9/19/2019 | 11:00 AM - 12:15 PM | Open to All Attendees! Please check back in May when this keynote will be announced.